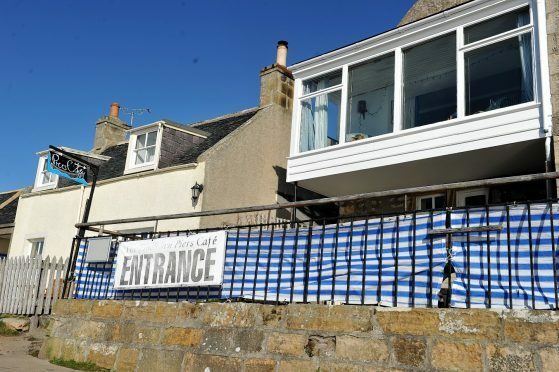 Fears over a Moray beauty spot’s future as a tourist draw have been alleviated with the announcement that a popular cafe will reopen. The closure of the Piers Cafe at Findhorn in March was described as a “disaster” for the village, with the busy visitor season imminent. The building, which overlooks the picturesque Findhorn Bay, had developed a loyal local following as well as offering tourists a scenic spot to lunch. Some locals said that shutting the building as spring approached “sent a bad message” and voiced concern its demise could drive away trade. But the proprietors of the building, the Royal Findhorn Yacht Club, have now quelled those fears by announcing that it is poised to relaunch next week. The venue will begin afresh under the name The Seafood Cafe, with a menu offering up fishy dishes like Cullen Skink, Scrabster haddock, Isle of Mull mussels and Shetland salmon. Royal Findhorn Yacht Club members say the recent appointment of a top north chef to oversee the eatery reflects their determination to ensure the village remains “a good place to visit”. Commodore, Michael Barron, said: “We are pleased to announce the appointment of Ian McGhie as the new chef. “Mr McGhie is currently the head chef at the Cawdor Tavern in Nairn and before that held the position of head chef at the town’s Golf View Hotel. The cafe will open on Monday.